This is a great gift to make for someone you know that is the owner of an iPhone and lives in, or is traveling to, a cold climate! I learned the hard way that my iPhone does not handle cold weather very well. While walking around NYC with my phone in my pocket these past few, very, very cold days my phone went dead. The cold sucked all the power out of the battery. So I decided to knit a mitten for my phone to keep it warm. I have an iPhone 5, I you have a 6 or another kind of smart phone cast on a few more stitches to accommodate the size. 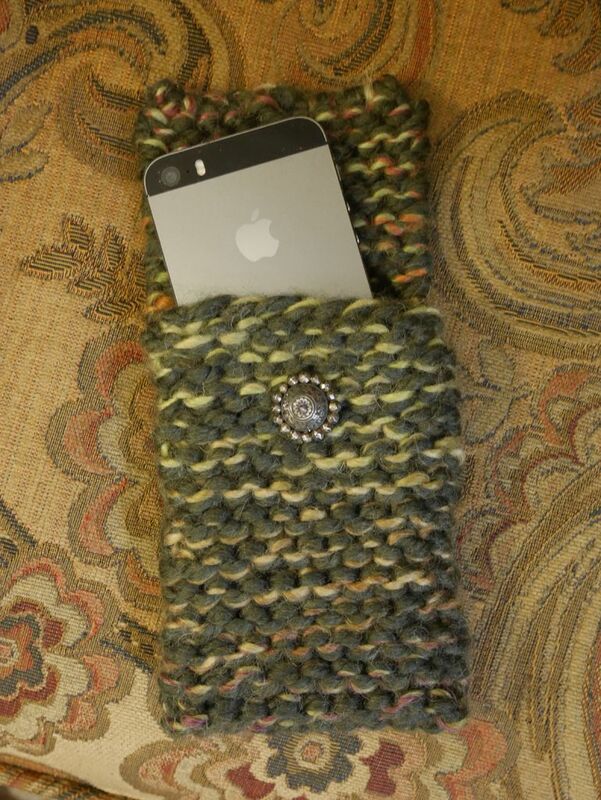 Knit each row until you can place your phone on it and wrap the knitting around the phone with a bit of extra to use as a front flap. fold the sides to cover the phone and stitch both sides to create a pocket. Sew the button about an inch down the from side. The iMitten is done! Insert your phone and you are good to go! If you have an iPad or other tablet check out my Intractable for an iSweater I published a while back! Are those Aero knitting needles? You mention NY, so you are in the states. I have a few pair that I had with me when I arrived in CA in 1964 from Denmark, and they are still like new after some 50 to 60 years of hard use. I want some more in different sizes, but I can't find them anywhere. Cute! And it would protect the screen from scratches too.